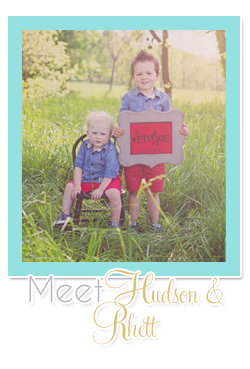 Choosing Joy: Name.Kitchen Special Business Spotlight! In my first post a few months ago about Name.Kitchen I talked about how I chose my blog name when I started blogging. 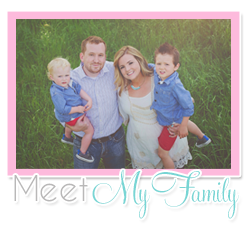 Today I want to feature some other businesses and talk about why they chose a Not-Com! Another amazing business that stuck out to me was This Little. Mitucha Ford left behind a career in film production and advertising to launch an eco-friendly baby clothing line inspired by her love of crocheting baby booties. Mitucha specializes in customized one-of-a-kind designs made from organic cotton and eco-friendly wool. Mitucha says, “Originally, I was just going to go with ‘dot-london’ (.london) because I wanted to promote the fact that I was a little London company. But I was also hoping to stumble across something that suggested boutique, something small, everything done under one roof.” Ford also says, “’This Little’ doesn’t tell you straightaway that this is baby wear, you need another something else to imply that. So ‘dot-boutique’ was perfect. Also, it kind of sounds a little bit like bootie, which at the time, I was just making booties." When choosing a domain name I'd choose something catchy and meaningful. I think that makes you stand out! Name.Kitchen helps you do JUST that. After 30 years of stagnancy on the Internet, there is an amazing new world of choice in naming on the Internet. In a rollout that began in late 2013, hundreds of new domain endings — words to the right of that second dot — are now available for use when crafting the URL for your website. In terms of availability, most people have had the frustrating experience of not being able to secure the.com of your choice or having to create a ridiculously long and hyphenated name. As these “not com” choices are new, the very best names are still available to be registered. Also we all know that better names are more memorable names. Choosing a great name for your business or project is an important, significant decision. 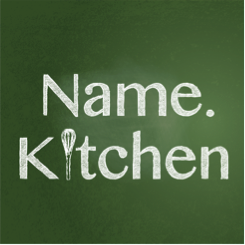 Name.Kitchen offers tips, advice and inspiration to help you jump-start the name brainstorm. Discover these tools and tips here. You can also find inspiration from Name.Kitchen’s “I am.___” video series showcasing businesses leveraging naming creativity + innovation here. Kitchen takes a 360-degree approach to naming; expect a blend of business, human interest and pop culture. After all, every name has a story — and those stories may influence the next name you bestow upon something or someone. Kitchen, powered by Donuts, provides a kitchen atmosphere around the subject of name creation. It is especially geared toward entrepreneurs (aka “business chefs”) scratching their heads for ideas. We offer inspiration on cooking up that perfect identity. Ready to get cooking with Name.Kitchen? You can claim YOUR name here.